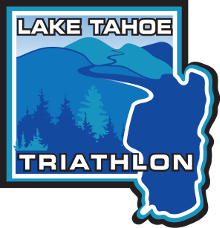 We want to reward those that consistently challenge themselves at our events by offering a long and short course Triathlon Championship. It’s simple, race, and score points. Then win a championship, glory, admiration from your peers?….and some very cool prizes. And go for the overall Big Blue Adventure Championship, click here for details. You must race in a minimum of two races. If you race in more than two races, your top two scores will be taken (e.g. if you compete in 4 races, your top 2 scores are taken and the other 2 drop). At the end of the series, custom awards will be given to the 1st, 2nd, & 3rd place male & female series participants. Winning is based on the total amount of points one accumulates at the end of the season from their top three races. Accumulate the most points, and you’ll win the series. Total there can be up to 12 winners. Three male and three female winners in the Long Series, and three male and three female winners in the Sprint Series.